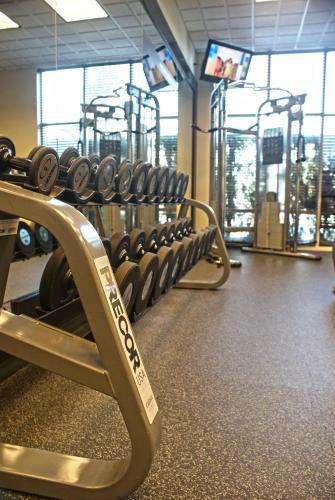 Located on Staten Island, this hotel features an indoor pool and gym. 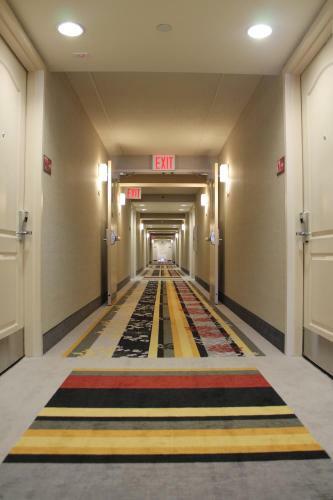 Rooms include free Wi-Fi and 32-inch LCD TVs while the hotel is 9.4 miles from Newark Liberty International Airport. 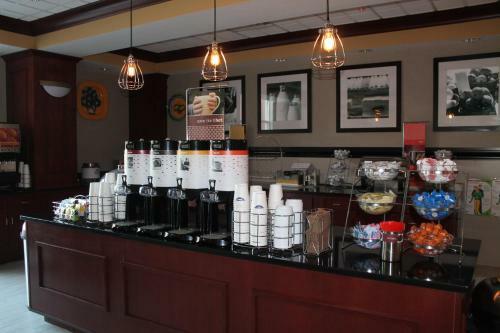 Each room at Hampton Inn & Suites Staten Island includes coffee facilities and pay-per-view movies. 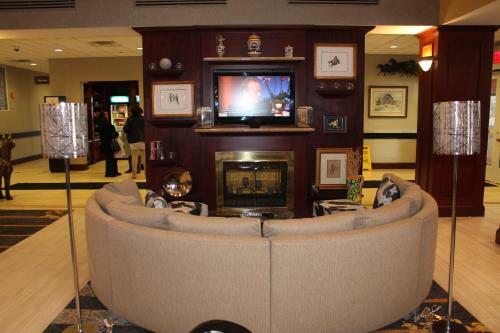 The suites provide seating areas with a microwave and a refrigerator. 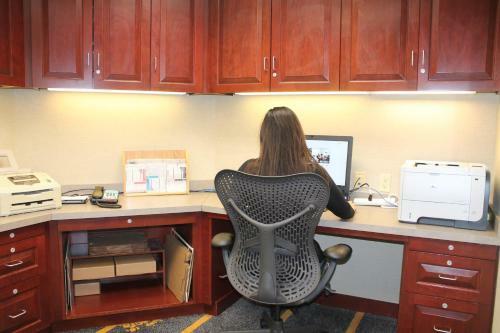 A business center and laundry facilities are available at the hotel. 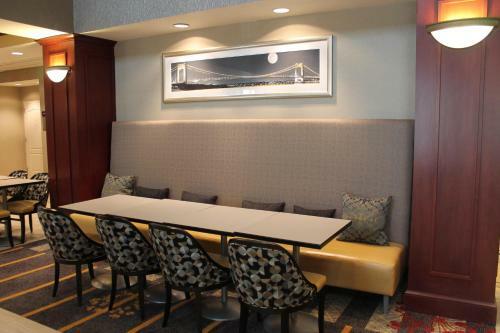 Staten Island Hampton Inn & Suites offers local area shuttle transportation to the Staten Island Ferry, Newark and Cape Liberty Cruise Port. 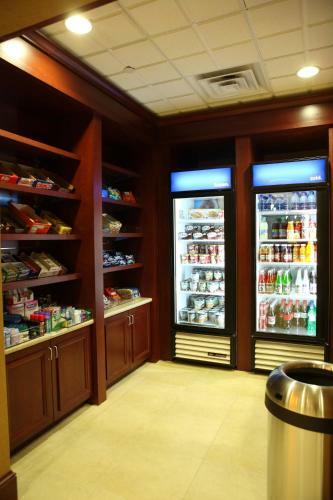 The hotel also includes a 24-hour convenience store. The Staten Island Zoo is 4.1 miles from the hotel. 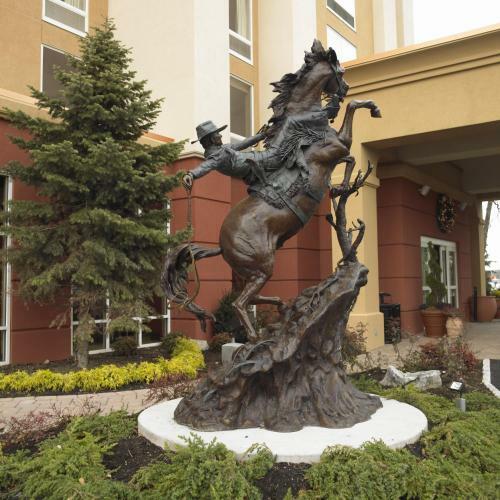 Hampton Inn & Suites is situated off the West Shore Expressway and is 12 miles from the Statue of Liberty. Guests are nearby a 2 mile outdoor jogging path. 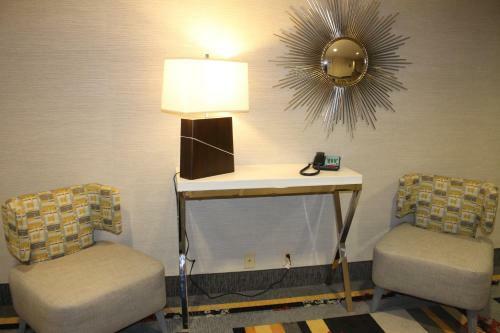 the hotel Hampton Inn & Suites Staten Island so we can give you detailed rates for the rooms in the desired period.